There are lots of events to choose from to celebrate World Water Day. Switch, a film outlining the different methods of producing electricity, along with their pros and cons, will be shown on campus at 7 pm, March 21, in Room 241 of the Arts Building. Join the SK Eco Network for their monthly film night at 7 pm, March 22, at Root Down Cooperative Café. White Water, Black Gold looks at the impact of the oil sands on water, indigenous communities, and northern icefields. Nicole Hancock from the Safe Drinking Water Foundation will speak about programs they have in place to educate students and the public on safe drinking water. Howard Wheater, Director of the Global Institute for Water Security, will showcase the Institute’s research highlights in their first two years of operations and outline their plans for future interdisciplinary research from 4-8 pm, March 22, in Convocation Hall, U of S.
Should we start labelling products to identify their water footprint so that we can choose products that have been manufactured with less water? ‘Blue space’ increases our well-being. No surprise to those of us who enjoy cycling on the Meewasin trails or relaxing at the lake. Global Infobrokers and ECOCanada are offering a pilot program for immigrant professionals who have a background in the environment sector but have not been able to find employment in their field. The Environmental Immigrant Bridging Program will help qualified individuals bridge into employment through training in business culture and work experience opportunities. For more information, contact Elaine Mantyka (elainem@globalinfobrokers.ca, 664.0500). Join the SK Environmental Society and the City of Saskatoon in celebrating Earth Hour in front of City Hall. There will be street hockey, coffee, tea, and treats from Earth Bound Bakery. The SES’ environmental book club will be discussing The Legacy by David Suzuki at 7 pm on April 2. Join the Saskatoon Nature Society as they look for bluebirds and other early spring migrants at Pike Lake on April 6 from 9 am to 2 pm. 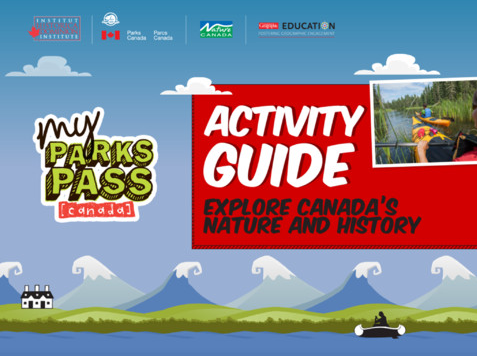 Explore Canada’s national parks, in person and virtually, with the My Pass Parks Activity Guide for iPad (also available as a PDF). 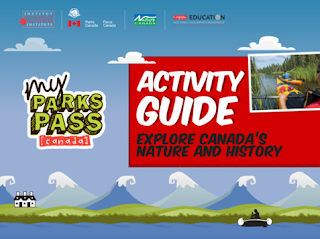 The My Parks Pass program also includes free park entry for Grade 8/Secondary 11 classes. “Sustainability is dead. Or at least the entire language we use to talk about it should be buried.” Time for a more positive message. Penny is going on holidays. EcoSask News will return on April 2.